"Josh embraces the bigger picture of any event or project." Josh’s dependable nature and intrinsic motivation help him provide the best possible service which, ultimately provides the best possible outcomes for our clients. 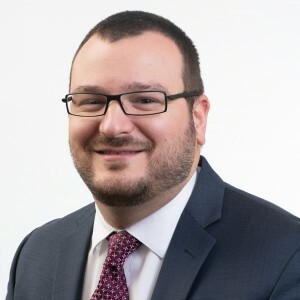 He has served as the Account Executive for the Pennsylvania Economic Development Association (PEDA) and its professional development arm, since 2010. Josh’s responsibilities for PEDA include development and oversight of a framework for organizational policies, association programs, services, contractual responsibilities and the planning and management of conferences, seminars, special events and board and member relations. Josh is results-driven, reliable, and brings his unique drive and respect for clients’ goals to every project. A native of Westmoreland County, Josh has called south central Pennsylvania home since 2005. His previous work experience includes time as a consultant with Stevens & Lee and as an Economic Development Specialist with the Capital Region Economic Development Corporation (CREDC). He holds a Master of Public Administration from the University of Pittsburgh's Graduate School of Public and International Affairs and an undergraduate degree from Saint Vincent College.